Learn how to edit, preview, switch, and edit themes. This page allows you to edit, preview, switch, and install new themes. Themes are organized by current theme and mobile optimized or legacy themes. 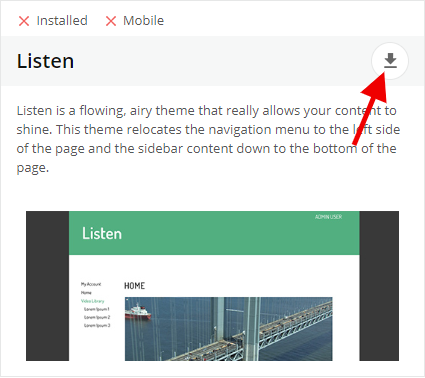 Click the install icon to make the theme available to use. 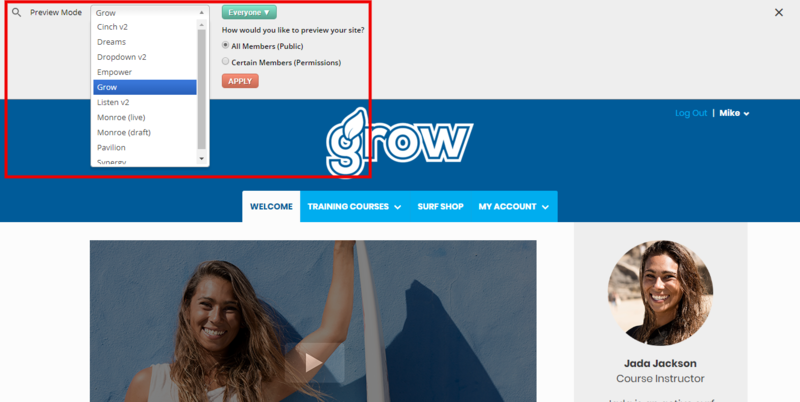 To “test drive” a new theme for your site, simply click the magnifying glass icon on any theme. This will open the preview mode tab where you can preview each page of your site based on the new theme. 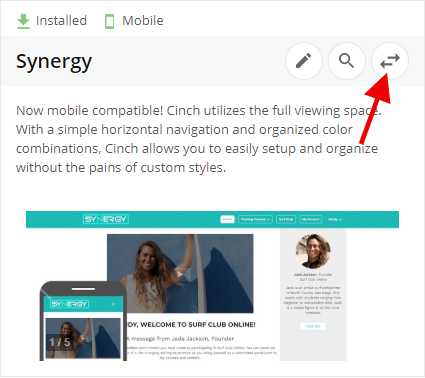 From this mode you can quickly toggle between any of your other installed themes and preview your site based on specific member viewing permissions. Note: preview will not change the design or layout of you live site. 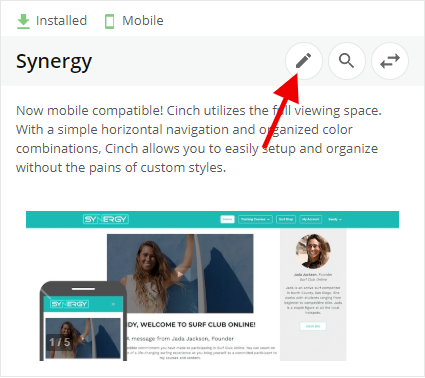 Click the pencil icon on a theme to make edits to the default colors, font styles, and add a logo to match your branding. Click here to learn more about editing a theme. If you want to make changes to your current theme or edit a new theme without disrupting your current live site you have the ability to edit a theme draft. Any time you make edits to a theme they will ALWAY be saved to the draft version until you click the save and publish option on a current theme or switch to a new theme. When you ready to switch and make your newly editing theme live, return to the themes page and click the switch icon for that theme. NOTE: Switching to a new theme will save your configuration of the previous theme. These improvements were part of the March 2019 Product Update. To learn more about this update please read this article.